With more than 900 employees, EBI has operations in Québec, mostly in Greater Montréal, and in Costa Rica. EBI offers integrated waste management, including the collection and transportation of waste, recyclable materials and putrescible waste, processing, recovery and disposal of residual materials. 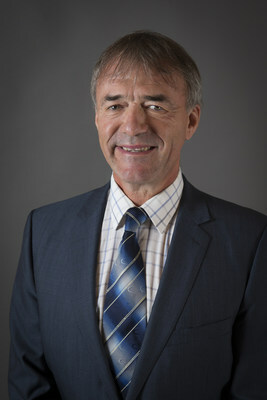 EBI is a leading green energy producer in Québec and Canada. By recovering biogas from landfill sites, EBI produces renewable natural gas, a clean energy that significantly reduces greenhouse gas emissions. EBI has one of the largest fleets of natural gas trucks in Québec as well as the largest network of public compressed natural gas refuelling stations. BERTHIERVILLE, QC, June 26, 2018 /CNW Telbec/ - By investing $70 million in EBI, the Fonds de solidarité FTQ and the Fonds régionaux de solidarité FTQ are now strategically positioned in such sectors as waste management, renewable energy production, and the use and distribution of natural gas in the Québec transportation industry. With operations in Costa Rica for more than 20 years, EBI has developed deep international expertise that will enable it to expand in the Americas and the world over. Vertically integrated, the company has strategically located infrastructures, with a technical landfill site in Lanaudière (Québec), the only waste transfer station on the Island of Montréal and one of the largest composting platforms in Québec. EBI has one of the largest renewable natural gas stations, a recycling centre, septic tank sludge treatment facilities and several public compressed natural gas refuelling stations. At the vanguard of green energy, the company has been producing natural gas since 2003 using the biogas generated by the decomposition of organic matter in its technical landfill site. Once the processing steps are completed, the end result is environmentally friendly fuel produced entirely in Québec. In fall 2016, EBI invested several million dollars to modernize its Joliette sorting centre. The company acquired cutting-edge technology, including three optic sorting systems. Working with Éco Entreprises Québec, EBI is currently conducting a glass recycling pilot project. 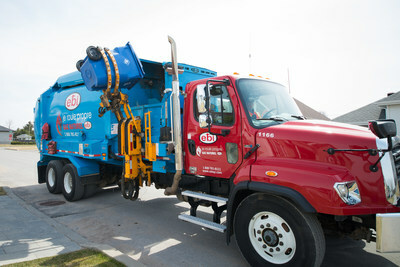 Waste management is one of the most important industries in Québec's environment sector. Its companies engage in the development of energy recovery technology such as biomethanization and biofuel as well as in collection and recycling. Québec is known for its innovative expertise in this regard and EBI is considered an industry leader in creative initiatives. Although this is a mature market, the sector will continue to evolve. "EBI is a mature, profitable, vertically integrated company with its own infrastructure and the advantage of having a technical landfill strategically located near a pipeline, which allows it to diversify its revenue by selling natural gas. It has a highly experienced, competent management team that's sensitive to environmental protection. The company's profile is consistent with our business plan and we are proud to support one of the most innovative local players in waste management and green energy production in order to make it a beacon of sustainable development in Québec." "We chose the Fonds because it met an important condition for us: to be a Québec investor. They have the experience and skills to allow us to continue growing our company. Environmental protection and renewable energy production are areas that will continue to develop here and abroad. Thanks to the Fonds, we'll be able to speed up our expansion and access new markets." Founded in 1960, EBI is engaged in waste management and renewable energy production. EBI collects and transports material from the municipal, industrial, commercial and institutional sectors. Thanks to its high-performance infrastructure, EBI sorts and transforms recyclables, composts organic matter and safely disposes of leftover residual material. An important economic actor in Montréal and Lanaudière, as well as in Costa Rica, EBI has more than 900 employees working in waste management and clean energy production.